Bryce Canyon is renowned for its outstanding rock formations and beautiful scenery amongst the steep red cliffs of southern Utah. As many as an estimated two million people visit the site each year, and some of these are part of groups such as wedding parties, family reunions, and activities, and friends just wanting to challenge themselves and view some of the world’s most enchanting landscape. Many others visit with their partners or come to the site alone wishing to gain solace, contentment, and relaxation. 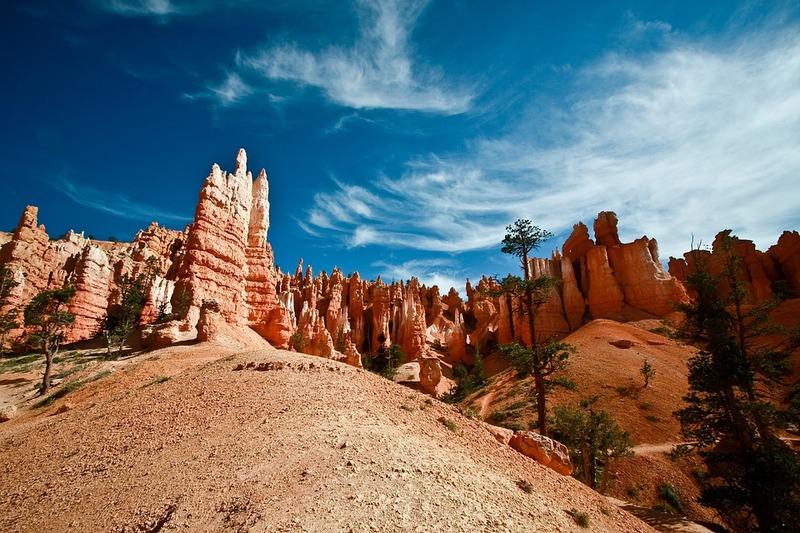 Staying and trekking in Bryce Canyon allows individuals to disconnect from the busy lives they know in the cities and enjoy a simpler way of life for a while. It’s simple math to work out that by staying close to the canyon, you’ll be able to spend a long time there compared to other accommodations. Look into staying at Bryce canyon campgrounds and choosing to stay in a tent or a log cabin, for example. You won’t have to trek so far in the morning to get there, and you shouldn’t have to turn around early to make it back before the sun disappears. Staying centrally is advised for quicker and easier accessibility, and by doing this, you’ll avoid feeling exhausted before even getting to the main attraction in the canyon; the staggeringly enormous hoodoos. One benefit of staying as close to the canyon as possible is that you can watch the sunset without then having a long trek back to your accommodation mostly in the dark. The closer you stay, the sooner you can relax back at your base. The same applies to watching the sunrise, except what’s even better is that you can spend a longer time in bed before having to get up to walk to the best vantage points! Remember to take a camera with you so that you can capture the emerging sun or as it disappears over the cliffs in the distance. Enjoying the sunset is a given when you’re visiting, as who would struggle to see the insurmountable beauty in the light closing in and disappearing around the peaks and the valleys in the canyon? You want to be close in on the action, right? The area surrounding the canyon is relatively quiet and calm, but by staying closer, you maximize your chances of hearing and seeing wildlife unique to the canyon. This incredible wildlife includes rocky mountain elk, mule deer, pronghorn antelope, and perhaps even those from the list of endangered species: the Utah prairie dog, the California condor, and the southwestern willow flycatcher. You surely won’t be the only one to have had the great idea of staying close to Bryce Canyon, so you’ll meet likeminded travelers like yourself who have come to the area to gaze at the sublime formations just as you have. You have the opportunity to make new friends and share stories and tales about your experience. Another benefit of meeting new people in this way is that you can ask for, and share, advice about the different treks and staying safe.